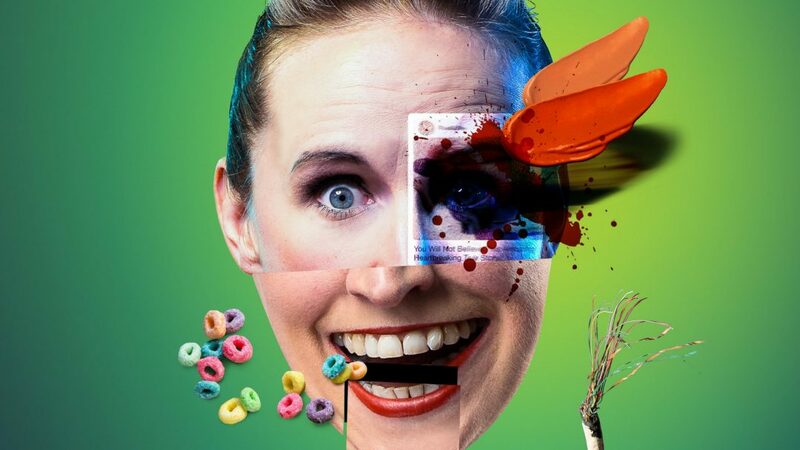 Fresh from the Edinburgh Fringe, the acclaimed Theatre Témoin now stage Feed at VAULT Festival – a show that brings their vibrant visual style to the world of click-bait culture, fake news and cyber gluttony. Welcome to the stimulating world of Feed where emotions are the currency and your passions and fantasies will be indulged… for a price. A Palestinian woman takes a striking photograph of a boy. A journalist steals the image for an unrelated article. A blogger is moved to tears by the article and posts a tribute. An SEO specialist makes the blogger’s tribute go viral. Now all four are caught in a media storm, in a whirring story that moves from reality into dark fantasy as the algorithms spin to deliver ‘what people want’. As we progress through these individual’s stories, we see them spiral out of control as they get pulled into the online madness. Theatre Témoin have always been unafraid of tackling important issues and here they explore the dark absurdity of today’s media landscape and what capitalism has turned it into. Feed uses a surreal style interweaved with Bouffon physicality to look at how algorithms and capitalism are shaping the information we receive and consume online and how this information is, in turn, shaping us. Feed is at VAULT Festival 6th – 10th March 2019.